Romantic evenings, getaways, or nights out on the town are a great time to sit together, sipping on and trying new wines. 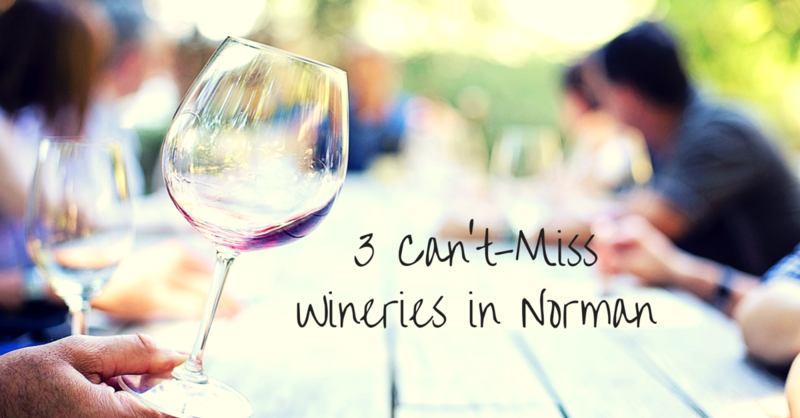 If you’re looking for a great experience, there are 3 can’t-miss wineries in Norman OK.
Redbud Ridge Vineyard and Winery is a Norman winery with over 40 years of vinification experience. The owner, Tom, and his father, Max, set out to prove that Oklahoma soil was great for wine-producing and started learning on their original winery, Dos Okies, which is now closed. In 2002, Tom bought Redbud Ridge, planting the first 1/2 acre of cabernet grapes. In 2008, the winery was open for business. Redbud encourages its guests to “taste the difference”. Originally intended to encourage the tasting and trying of Oklahoma wines (versus wine from anywhere else). This line has gone on to encourage visitors to notice the difference at Redbud. 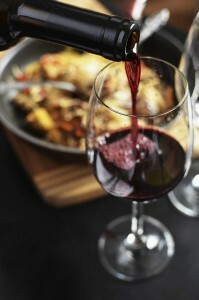 Redbud wines tend to be on the drier side, which makes them a more excellent pairing with food. With six different wines to try, you’ll enjoy spending an evening sipping with your sweetie. The most popular wine during football season is Wine for stoops, as it is perfect for enjoying on stoops or front porches, although some find a deeper meaning in the name. Tasting hours are Thursday through Sunday, 1pm to 6pm, or whenever you see the “Winery Open” sign from the highway. Canadian River Vineyards and Winery is a 100% Oklahoma winery. Growing their own grapes and using only grapes sourced from Oklahoma, their hope is to put Oklahoma on the map as a leading wine producer and to educate customers on the wine industry. The master winemaker, Gene, was educated on wine-making in Napa, CA and has been making wine at Canadian River Vineyard for the last 15 years. Because this is a working winery, tours are available and the staff is very friendly and knowledgeable. The most popular wine at Canadian River is Chocolate Drop, a chocolate cherry merlot which has won a prize in every contest it’s been entered in. Another popular choice by guests is the Moscato, and recently the semi-sweet Muscat Canelli won bronze at the Fingerlakes International Competition. Of course if you’re looking for a staff recommendation, check out the Merlot if you are a red-drinker and the Chardonnay if you prefer white. Canadian River is open daily from Noon to 5pm, Noon to 7pm on Fridays and Saturdays. 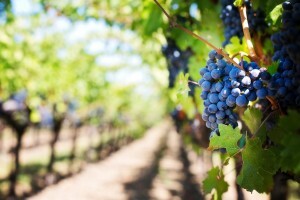 Native Spirits Winery is located near beautiful Lake Thunderbird. The winery has both tasting rooms and sales rooms. You can sample the wines on the beautiful patio which overlooks the vineyard where Syrah, Riesling, and Cabernet Sauvignon grapes are growing. There are 20 wines to try – in all varieties from dry reds and whites, sweet reds and whites, and blushes. Each wine comes with pairing suggestions to help you in your own planning and preparation work when you take your favorites home with you. Tasting hours are Wednesday through Sunday, Noon to 7pm, with special after hours events on Friday evenings. If these times are not convenient for you, the winery invites you to call and make an appointment to come to the winery at a more convenient time. After an evening of sipping on some of the best of what wineries in Norman have to offer, we know you’ll be looking to cozy-up with your love, in front of a crackling fire, and slip off to luxurious sleep in a great bed. 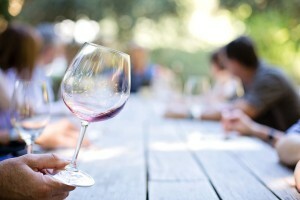 We’ll help you cap off your wine tour with a great stay the at the Montford Inn and Cottages. 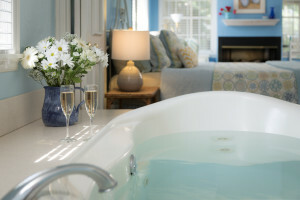 Our uniquely decorated rooms and cottages have lots of comfy amenities to choose from – some have fireplaces, whirlpool tubs, breakfast delivered in the morning, and more. Be sure to check out the great options before making your reservation. We look forward to seeing you.